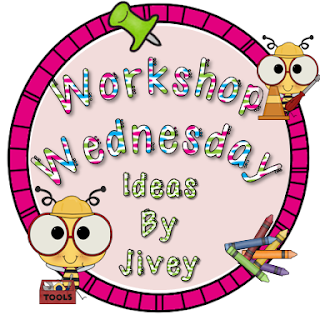 This week we are sharing ideas we have taken from other teachers - IRL or on-line! This is a wee bit embarrassing, but I am sharing about Mentor Sentences (since this is a linky with the Queen of Mentor Sentences). I first heard about Mentor Sentences from this post from Collaboration Cuties (the other Queens of Mentor Sentences). I was intrigued immediately and only slightly embarrassed that I was at home on a Saturday night getting excited about teaching grammar. Then one lucky day, Jivey had her first Mentor Sentence pack on super sale at TN so I scooped it up - I now own all three plus the Holiday and Winter pack from Collaboration Cuties. 3. It focuses on strong examples of good writing rather than fixing sentences that are written poorly - love focusing on the positive. Here are a few pictures of what it looks like in my class. I photocopy the sentence on coloured paper and put it on chart paper and then we label it. Here it is glued in after the elastic - this was our first attempt - we have since fixed the glueing it in sideways problem - the middle of the page confused some kiddos! 1. Ensuring that I find the time each week to use mentor sentences. With snow days and holidays and spirit days and presentations it has been hard to keep up our routine since Christmas. 2. Try a few on my own - I am aiming to pick a book or two and go it alone (gasp) it is just so hard since these ladies have such great resources but sometimes I want to use a different book and will have to just make my own. Hee hee! I'm so glad too! Mentor sentences are truly what have made my kids the writers they are! They love imitating authors! Thanks for linking up, BBB! You have me intrigued. I have never used mentor sentences, but I want to look into them now. I use Caught'ya which is from Grammar with a Giggle (I think that's what it is called) where the students fix errors in sentences like with Daily Oral Language. I'm curious if you've ever done the Daily Oral Language grammar work and what you like better about mentor sentences. I used to use Caught Ya as well... I prefer the Mentor Sentences. You'll getting students to see the correct way to do things. I feel like teaching them HOW or WHY something works is better foundation. I do still have some editing quizzes and checks - but I feel like my students are actually starting to use some of the techniques in their own writing which I didn't see before :) Definitely, worth trying out... I jumped in this year and I'm glad I did! So glad you're seeing the results!!! :) makes my heart happy! Aren't they fantastic? I can't stop sharing them with everyone I talk too about grammar and author's craft! Our students love doing mentor sentences and using them to write like authors! I thought they might get a bored but we're still going strong! Love, love, love them! I, too, LOVE jivey's mentor sentences! This week I tried to go it alone, too! I chose a really beautiful (and somewhat long) sentence from an Irish story. We had a VERY hard time labeling all the parts of speech (I love that jivey does that for me), but the kids did a FABULOUS job revising and imitating, so I'd say it was a "win" and I'll try again with another book another time. I also got excited about mentor sentences when I first read about using them. It may not have been on a Saturday night, but it was most definitely on a weekend. We teachers are a little bit odd sometimes, but the students seem to appreciate us! I am thinking about trying to create some of my own, too.